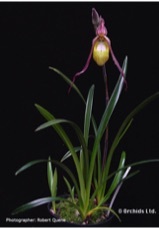 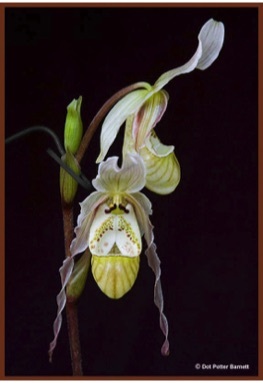 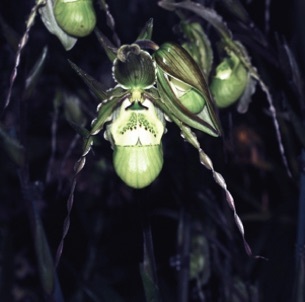 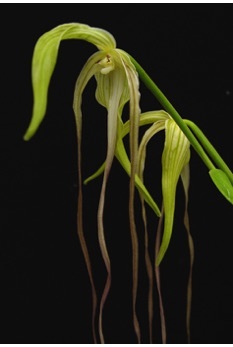 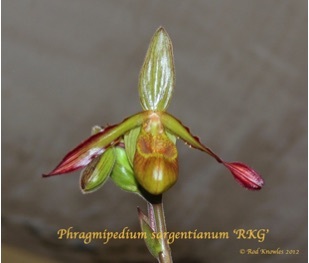 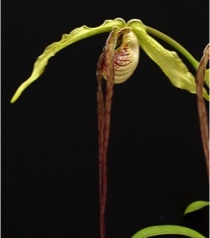 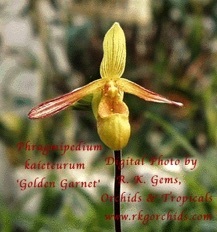 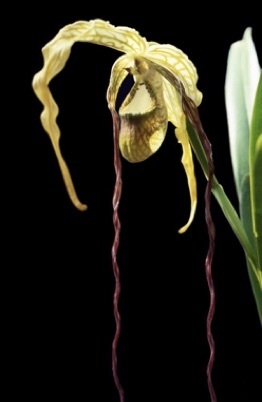 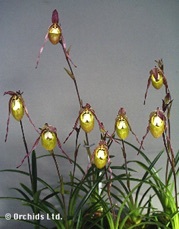 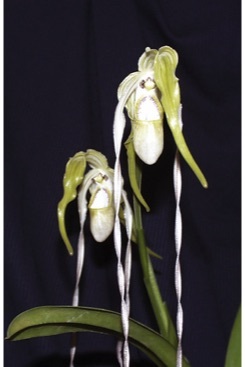 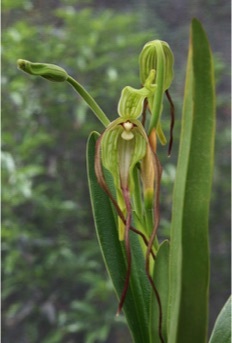 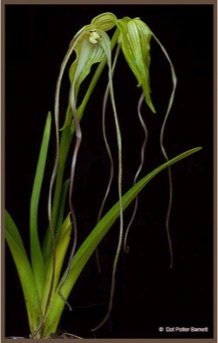 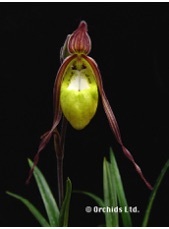 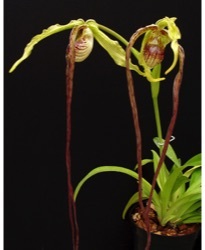 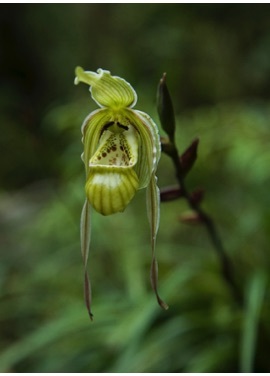 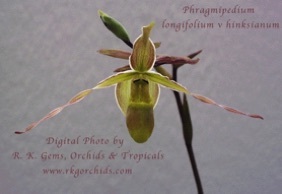 The Phragmipedium species below include several names that have undergone considerable debate and change since the year 2000. 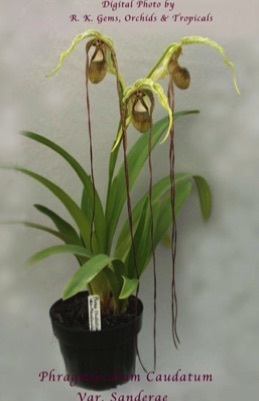 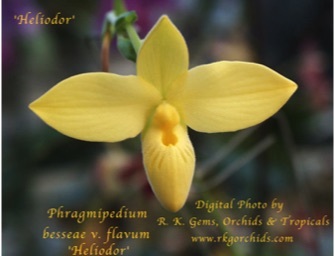 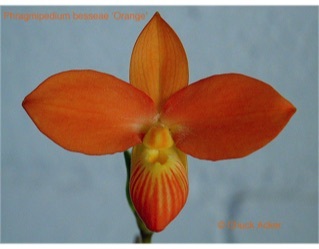 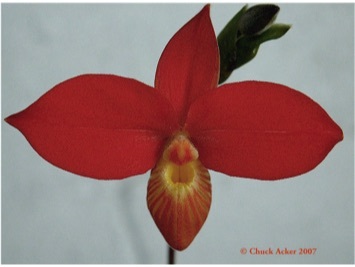 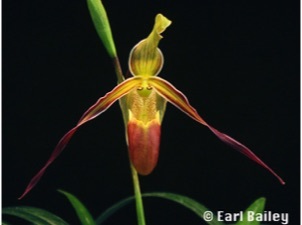 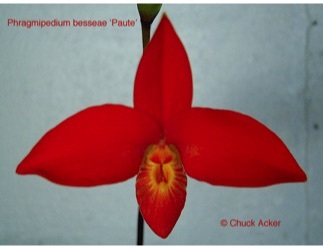 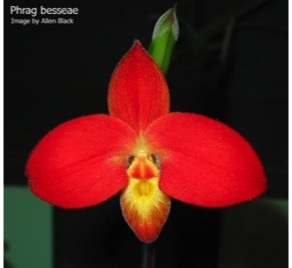 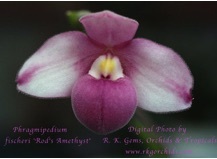 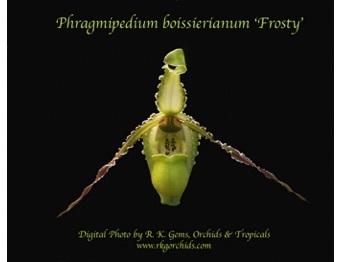 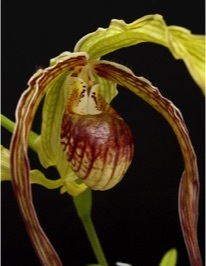 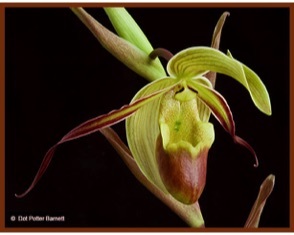 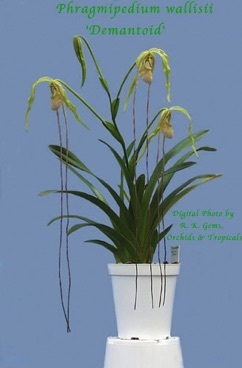 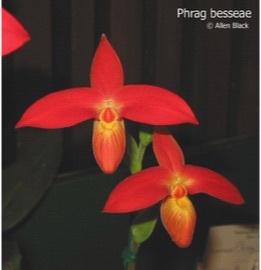 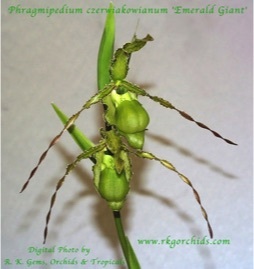 Phragmipedium species names that are commonly used in the orchid growing industry do not always correlate with the names assigned through academic and scientific taxonomic practices. 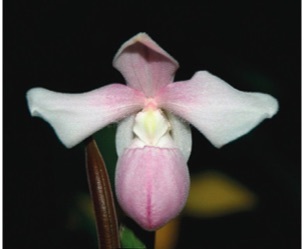 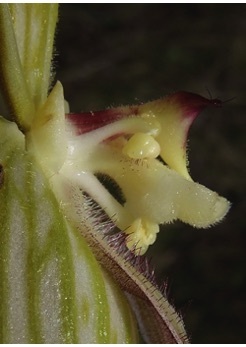 Some species names in this list will indicate past and present synonyms, and are included to help the general public identify variously iabeled plants. 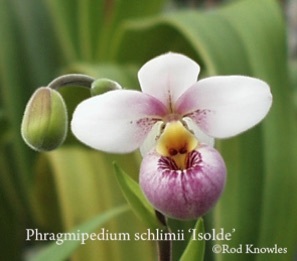 We expect that taxonomic name changes will continue for some time into the future, and further changes and synonyms are likely to be seen in this list. 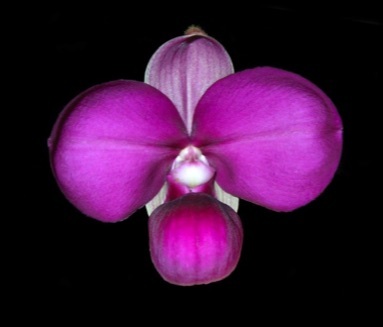 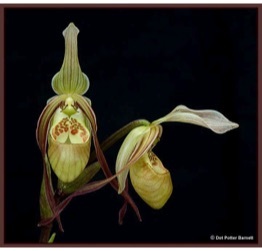 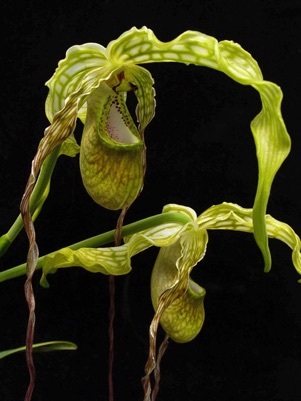 Photo: Robert Quene, Orchids Ltd.